Considering a Taser? Which one should you buy? What’s the difference? Many people ask me which Taser product to buy, and what the differences are in the 3 consumer models. Here’s a simple breakdown that might make it a bit easier to decide. The M18L is a pistol style, definitely larger, comes in black/yellow or yellow/black so that no one confuses it for a real gun. It is definitely more durable, and the standard of the many security companies and bailbonds men. It takes 8AA batteries so that you never have to worry about waiting for the power pack to recharge, and there are recharger kits available if that what you like. It comes with 4 cartridges, a hard protector case so that your guards can store it safely back in the office when they finish their shift. Your guards probably wont "run away" from the attacker, however they will want maximum control. For that reason the M18 jolt last 5sec, and you can blast them repeatedly if you have to. I think an M18 will last you longer in the long run, in terms of durability. Unfortunately, the M18 doesn't come with a holster. Holsters come in thigh and hip style. All of these 3 Tasers deliver the same number of volts, 50 Volts with pulsed wave for max muscular incapacity. All Taser orders from www.smartlifestore.com always come with free shipping, and great service!! Nice tips. I bookmarked your site for my future use. Good update here.There is a lot of demand for the 3G phones and Apple would not be too happy about this slip.The market is a very competitive one and any wrong decision and you start sharing it with other brands. 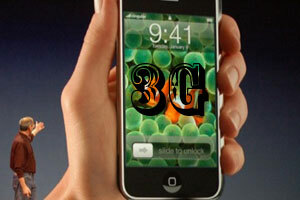 The demand for 3g is definitely increasing day by day, and for me apple is always been the first choice in mobiles. Is it fair to say that Apple own the mobile market? It's going to take something special to take their' crown. Phone designers should be straight and honest to their consumers. They shouldn't rely on the quality of their products against the trust of the people unto protecting this rumors.